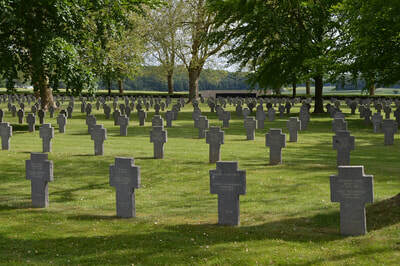 Belleau is a commune in the department of Aisne in Hauts-de-France in northern France. 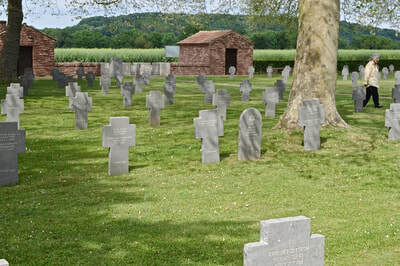 Near the US cemetery on Route D9, just outside the village of Belleau, is the German Military Cemetery containing 8630 German war dead from World War One. 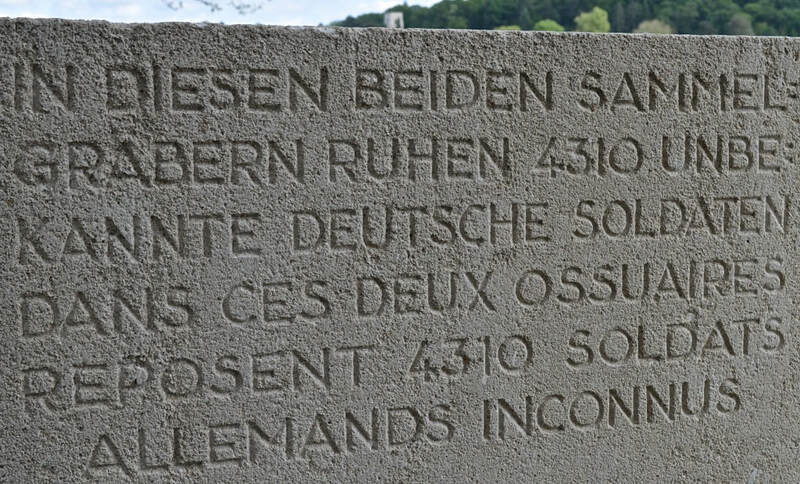 The cemetery was founded in 1922 by the French military as a collection point for German war dead that had once lain in 123 different cemeteries in the region between Chemin-des-Dames and the Marne. 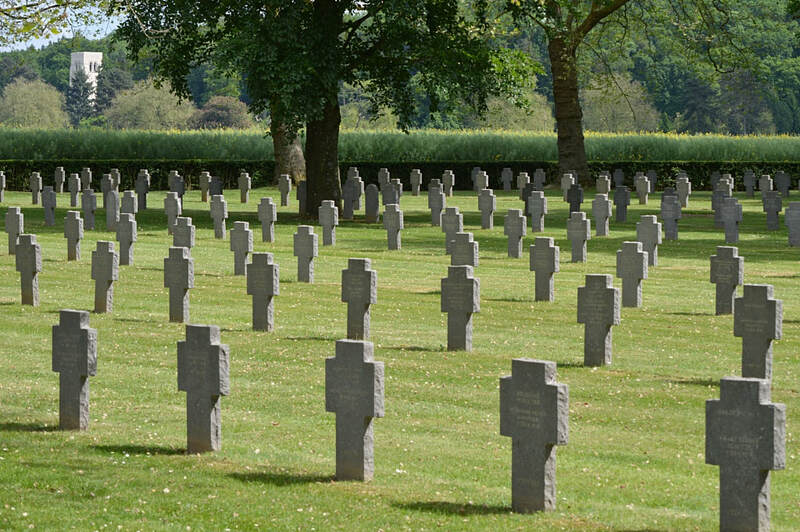 Seventy of these were casualties of the first battle of the Marne in 1914. 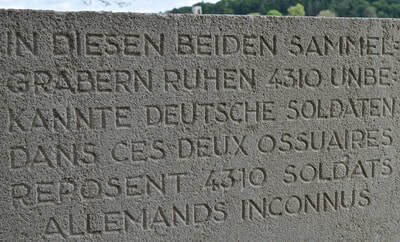 The German organization Volksbund Deutsche Kriegsgräberfürsorge E.V. 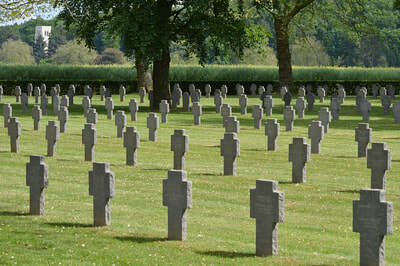 took over management in 1927 but the outbreak of the war in 1939 suspended their activities. 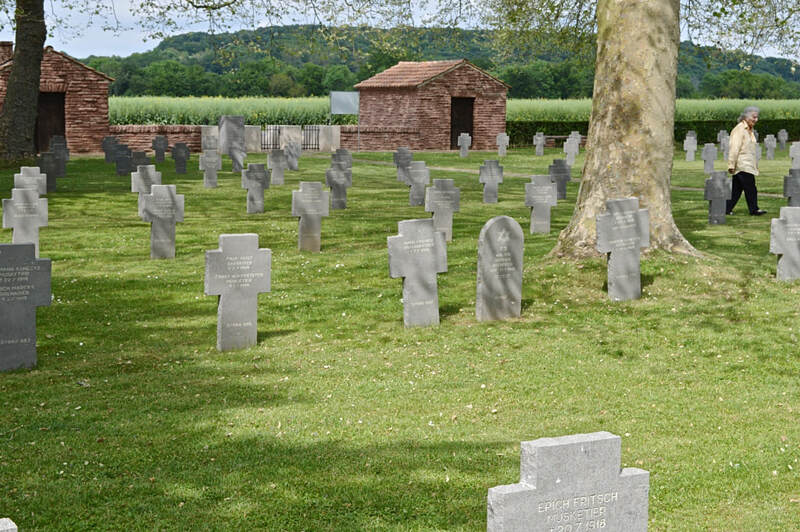 In 1966, this group was again able to take up their duties and in 1972 the provisional wooden markers were replaced with the stone crosses now in place, excepting for the 15 Jewish soldiers buried there, for whom a cross was not appropriate and for whom a rounded marker was used instead. Of the 8630 dead, 4308 rest in single graves, of which 22 are unknown. 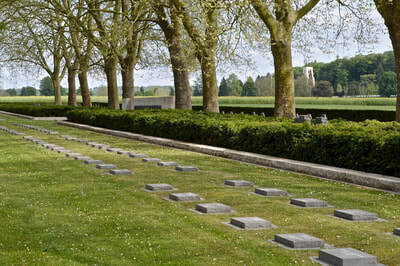 In two mass graves are buried a further 4322 soldiers of which only 487 are known by name.